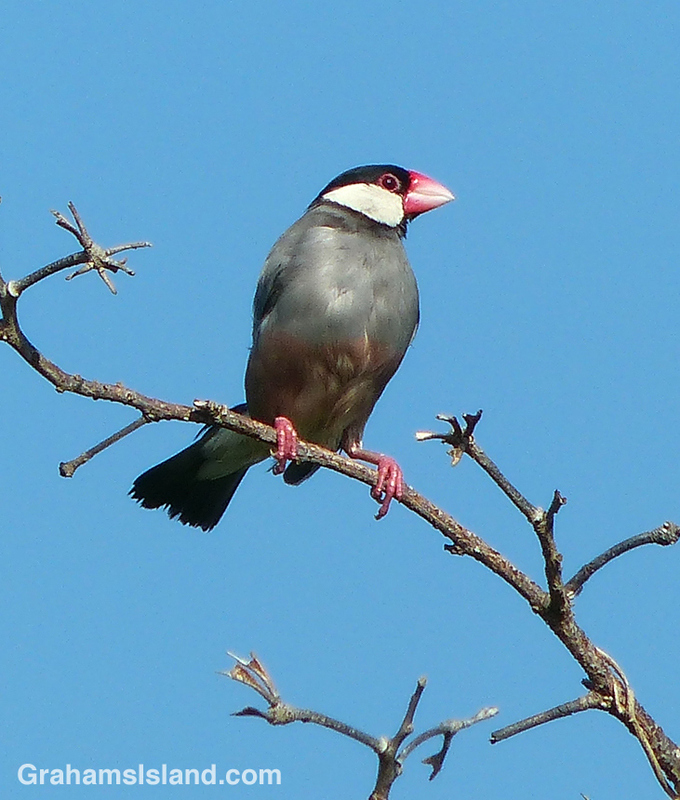 I like Java sparrows. With their big pink beak, white cheeks, and pinkish ring around the eyes they have a cheerful air about them. They’re an introduced species, from Indonesia, and quite common on all the islands.